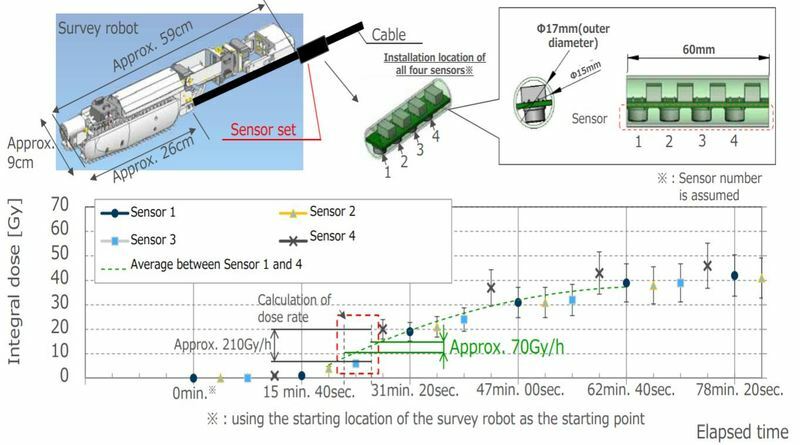 TEPCO has revised earlier radiation readings for unit 2’s containment inspection done earlier in 2017. They claimed a set of instrument and calibration errors caused the inaccurate readings. Their set of reasons seem plausible and these readings appeared abnormally high and without a clear cause for certain readings during the time of the inspection. That doesn’t immediately mean TEPCO’s revision should go without skepticism. TEPCO claims that their camera based radiation estimates were too high due to an oversight where they forgot to reset the sensitivity threshold on the equipment that was reading camera interference. A lower sensitivity reading was used for laboratory testing of the equipment. TEPCO also claimed that laboratory testing of the camera used a cobalt 60 radiation source. 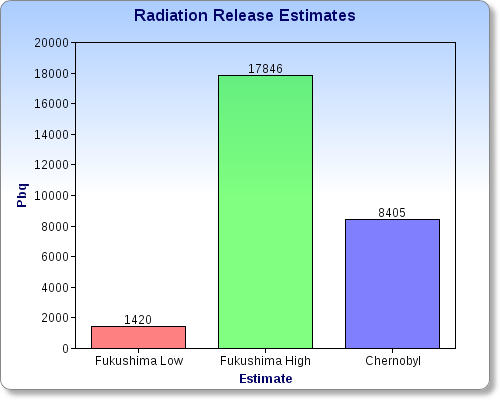 They assume most of the radiation inside unit 2 would be caused by cesium 137. It is a known factor that cobalt 60 would not be the predominant source of radiation inside containment. After the inspection TEPCO says they tested a similar camera sensor and did find a cesium 137 source created interference at a different rate than cobalt 60. The final claim made in the report for downgrading the radiation readings was for a set of on board sensors. A cluster of 4 sensors were used to detect radiation as part of the robot unit sent into unit 2’s containment. One of the 4 sensors was reading considerably higher than the other 3. When they took that sensor out of the readings the other 3 sensors read considerably lower.